Robert (Bob) John Greenwell was born April 18, 1906 in Vancouver. His father George came to Canada originally from England, leaving at a young age to come to America. George travelled up through the states to arrive and settle eventually in British Columbia, where he met Susan Dinah Draper whom he married in 1904. 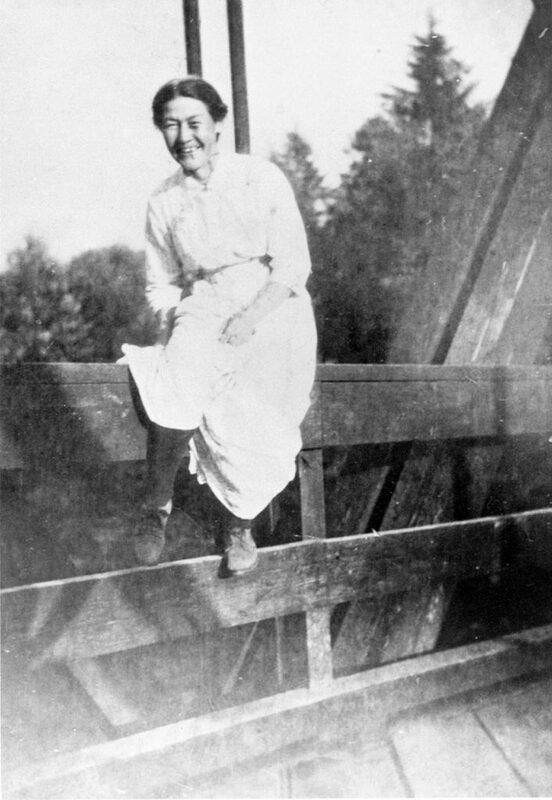 Bob’s mother Susan was born in Northfield, Quebec in 1868, coming to British Columbia with family friends. 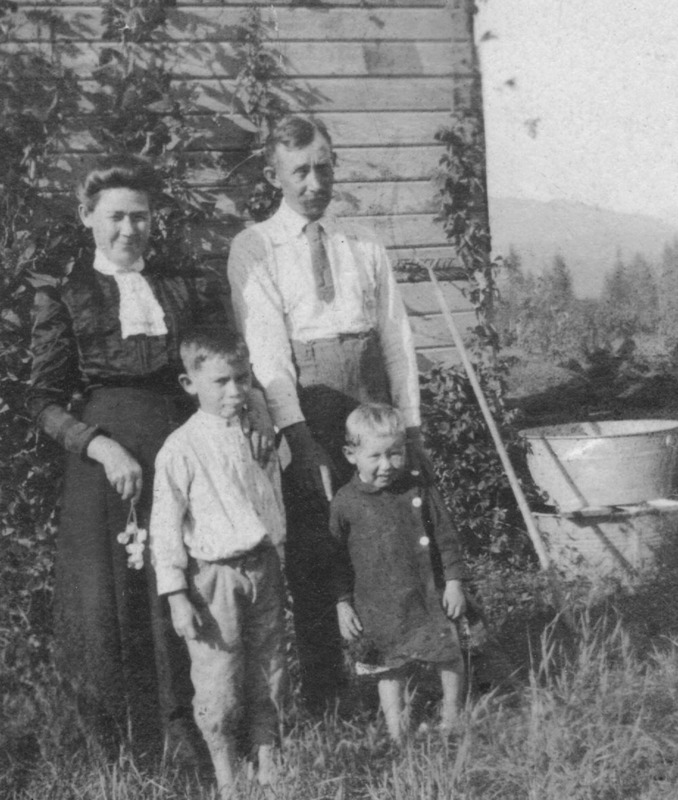 His family moved to Haney in 1912 and built the famliy home on their property on Dewdney Trunk Road (I.C.B.C. property now). 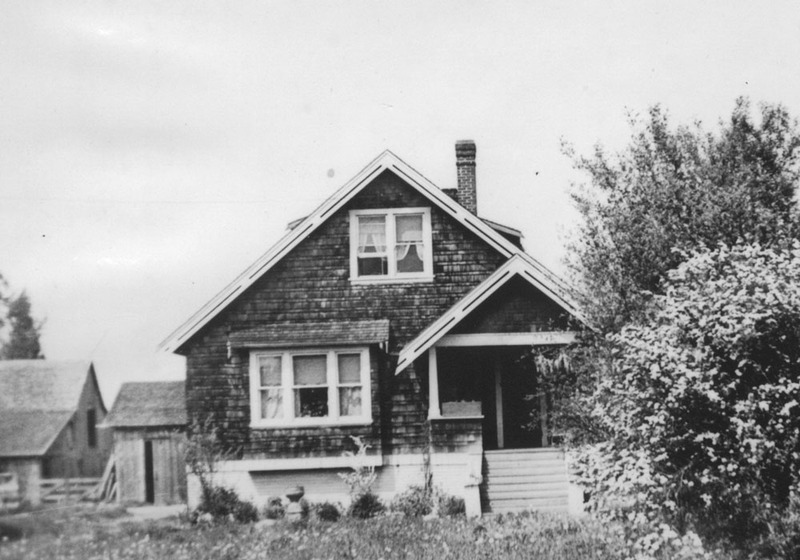 Home built around 1913 by George Greenwell at Dewdney Trunk Road near 228th where ICBC is today. George Greenwell was a carpenter and passed on these skills to his children Bob and Bill. Bob went to school in Haney, attending high school at MacLean High. After high school, Bob worked in the lumber industries, which he was involved with all of his working life. He worked at the Commercial Lumber Company in Webster’s Corners for a period in the twenties, but eventually went into timber hauling. He also was interested in agriculture, and through the thirties raised pigs as well as hauled lumber. As a teenager, Bob played basketball on the local men’s team. He also did some boxing. He joined the Oddfellows, and was a lifelong member. However, it was Bob’s love of horses that many remember most. From the time of his first horse Paddy (the smartest and best horse) to the many beautiful Arabians that he raised, bred, and showed over the years to the line of naughty Shetlands that were family pets, his interest was sustained. Some of these animals live on with his children and grandchildren as a legacy. Bob was also very proud of the shorthorn cattle, which he raised and showed. During the War years Bob was in the local Militia. It was during these war years that he met and married a local school teacher from the prairies, Thelma Jones, on July 3, 1945. The romance apparently started when Bob was on crutches recovering from a bone infection in the knee that developed after medical intervention for a broken ankle. Bob and Thelma spent one year in Port McNeil on Vancouver Island where Bob was operating a saw mill. In 1946, with his brother Bill he initiated a sawmill operation at the family property on Dewdney, later to be moved to riverfront property in Pitt Meadows. Greenwell Blackstock Lumber Company was later formed and operated on the site until 1966. Thelma and Bob moved into one of the houses on the property on Dewdney alongside his parents, and began raising a family of five girls – Dawn, Susan, Peggy, Bev, Evie. After retiring from the lumber industry Bob kept busy raising cattle and horses, constructing a house, selling Mutual Fire Insurance, and his major retirement project developing his newly acquired property on 232nd Street where he lived and worked until a stroke disabled him on Sunday May 19, 1996. Bob passed away on Wednesday May 29, 1996.